Retired New York City homicide detective, Vinny DeMarco joins his old partner, Bluto, in a pizza restaurant in Reno, NV. The oldest pizza delivery man in America gets more than he bargained for when he delivers a pizza to the mysterious Scotsman, one of Reno's big shot gangsters. 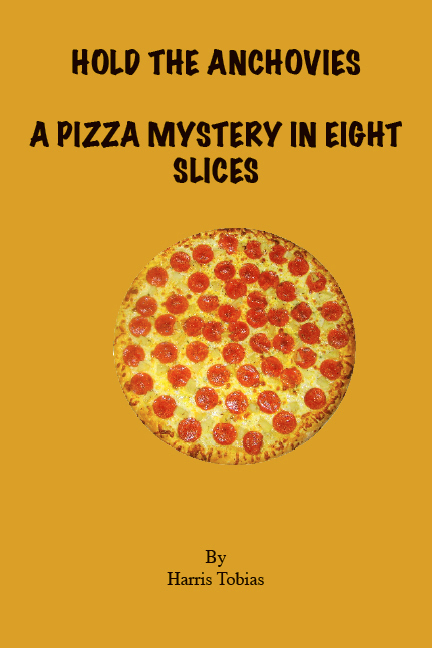 What follows is a tale of action, murder and revenge as hot and spicy as a pepperoni pizza. My name is Vinny DeMarco and I may be the oldest pizza delivery man in Reno, I certainly feel like it. I'm a retired homicide cop, a refugee, a survivor from the crusty guts of New York City. I fled west the second my pension came through and my sweet wife, Allison, finally lost her fight with cancer. I wanted to get as far away from corpses and crack houses and crazies as I could. The pizza delivery job gives me something to do, it got me out of this tiny furnished room and forced me to mingle. "You got to get out and mingle," my friend Bluto Carrara used to say. "Here, take these pies over to the Horseshoe. In the back. There's a poker tourney, and hurry back, we got a busy night." Bluto and I used to be partners back in the day. He is my age but he got his pension five years before me after getting his left hand nearly shot off in a Brooklyn domestic dispute turned ugly. Bluto's the reason I'm in Reno. For the last five years he's been after me to join him in this desert city. "It's cheap its warm, Vinny, your pension will cover your expenses. You'll have me and Flo to look after you and, best of all, you won't have to watch your back. There's no crime." Well he was right about one thing, it was warm. The tourney room at the Horseshoe is a big ugly room in the back of the hotel set up with lots of card tables and folding chairs. Compared to the glitz and sparkle of the casino it's a no frills vanilla box. The card players don't care. They're intent on winning, for them the three day tournament is their sole focus. I'd been there once before for a poker tournament. I had dreams of making a living as a poker player. That dream only lasted until the second round. Anyway, I brought the pies to the tourney room and handed them to some official who told me to wait while he distributed them to the tables and collected the money. I stood there cooling my heels. The room was thick with intensity and quiet but for the clicking of poker chips. I could see the game was five card stud. I prefer Texas Hold 'em myself. I felt the siren call to be sitting there weighing the odds and playing mind games with my opponents. The casino provided plenty of free food and drink to the players but there are some who just don't consider it poker without a cigarette, a glass of bourbon and a slice of pizza at their side, hence the delivery. After a few minutes the official sauntered over and handed me a wad of bills, "This is for the pizza," he said. And as I turned to leave he handed me a stack of chips and added, "and this is for you." I took the chips to the cashier and the young lady handed me two twenties and a ten. Fifty bucks for delivering a half dozen pies. I gave her back the ten and got a roll of quarters. I sat down in front of a multi line slot and played all six lines for a few pulls. On the last pull the machine paid me another fifty bucks. Ninety dollars for delivering a few pies. You gotta love this town.